Bion Environmental Technologies Inc. (OTCQB:BNET) has developed a proprietary technology platform aimed at reducing costs and improving efficiencies in both the multi-billion dollar water treatment sector and dairy/meat/egg production industries. Bion is well-positioned to capture a significant portion of the billions of dollars in spending that must come into this evolving cleantech space — the Company’s technology can reduce water pollution at a fraction of the cost U.S. taxpayers are currently spending on outdated water treatment strategies, while simultaneously improving efficiencies in livestock production, processing and distribution. Bion’s Kreider Farms project demonstrates that the Company’s livestock waste treatment technology can resolve major environmental and public health issues, reduce costs to all stakeholders, spur economic growth in rural communities, and provide investment opportunities in a newly-developing sector. The livestock industry has to get cleaned up. There is no way to solve our current water problems absent livestock waste cleanup. Bion’s technology provides environmental improvements that are verified, so they back a USDA-certified sustainable brand – lower carbon and nutrient footprint and pathogen kill. By completing this form, you are giving consent to receive communication from Bion Environmental using the contact information you provide. And remember you can unsubscribe at any time. “Bion’s technology platform provides a comprehensive cleantech ‘makeover’ for large-scale livestock production. We can substantially reduce, and in some cases almost eliminate, the environmental and health impacts associated with livestock waste, while simultaneously providing significant improvements in resource and operational efficiencies throughout the supply chain,” states Craig Scott, Bion’s Director of Communications. Government expenditures on wastewater treatment are rising: from $38 million/yr between 1956 and 2000, to $87 million/yr from 2001 to 2010, to $114 billion spent in 2010 alone. That figure is believed to be at least 10% to 20% higher in 2015. The EPA identified excessive levels of nitrogen and phosphorus as the greatest threat to water quality in the United States. More than a billion pounds of nitrogen and phosphorus need to be reduced in the Mississippi River Basin, Great Lakes and Chesapeake Bay watersheds to restore water quality. Under the 1972 Clean Water Act (CWA), the large majority of the above spending went to successfully reducing waste from “point sources”, which are anything with a smokestack or a discharge pipe with measurable discharge (e.g., power, water treatment, food processing and manufacturing plants). But the real problem today is excess nutrient run-off from agriculture, which now accounts for 70% to 90% of the excess nutrients in most major U.S. watersheds. More specifically, livestock waste is one of the largest sources of nitrogen and phosphorus in most major watersheds and also high amounts of, ammonia, greenhouse gas and other air emissions, and pathogens. Since the passage of the CWA, the livestock industry has undergone tremendous expansion and consolidation, leading to ever-larger CAFOs (Concentrated Animal Feeding Operations). Today, well over 60 percent of U.S. livestock production comes from these large-scale facilities. CAFOs still dispose of their waste the way small farmers have for centuries: by spreading it on the ground, essentially untreated, for its nutrient/fertilizer value. Although they are much like an industrial point-source manufacturing facility, CAFOs enjoy significantly less regulation than a point source. “Livestock production is one of the largest, if not THE largest, unregulated “man made” sources of pollution in the U.S. and in the world. In the U.S., it has been subject to very little regulation compared to point sources, so there is tremendous room for improvement. With onsite treatment like Bion’s technology provides, nutrient reductions can be achieved very cost-effectively,” added Craig Scott. The U.S. livestock inventory includes more than 9 million dairy cows, 80 million cattle, 62 million swine and more than 2 billion poultry. These animals produce an estimated total of 1.5 billion tons in livestock waste each year; 300 million tons is produced just from feedlots according to a recent Bloomberg article. However, agriculture is considered a “non-point source” and is not regulated under the Clean Water Act. Bion Environmental Technologies’ proven comprehensive environmental management systems can eliminate the impacts from up to 95% of nitrogen and phosphorus from livestock waste, reduce greenhouse gases and ammonia emissions by 90%, and substantially reduce pathogens. Over $100 million has been invested in developing this technology and policy change over the past 24 years. Bion’s second generation (2G) technology has been proven in commercial operations. At its core is a biological process that facilitates the growth of large populations of naturally-occurring bacteria that convert nitrogen and phosphorus in the waste stream to solid forms that are removable by other processes. Some of the nitrogen is released as a harmless and inert gas. 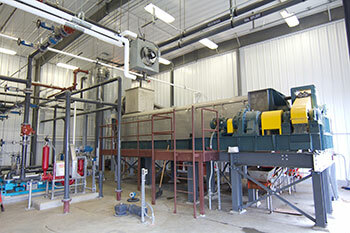 Bion’s systems also create new revenue sources through the extraction of renewable energy and the production of value-added products such as fertilizer and soil amendment products and potentially feed additives. Bion’s 2G treatment solution is protected by seven U.S. and six international patents, and have been accepted by the EPA, U.S. Department of Agriculture (USDA) and other regulatory agencies. Patents are pending in the European Union, New Zealand, Mexico, Brazil, Argentina and Australia. The USDA, under their Technical Assessment review process, recently reviewed and qualified Bion’s technology platform. No other wet livestock waste treatment technology can match Bion in efficiency and cost reductions. Bion is finalizing R&D on its third generation (3G) technology, on which it has filed two patents and expects to file more. The company plans to build a commercial-scale pilot in the near future. The 3G technology provides substantially greater resource recovery, including pipeline-quality natural gas and a high-value ‘pure’ nitrogen product that Bion believes will meet OMRI (Organic Materials Research Institute) standards for certification in organic production. An organic certification would translate to substantially higher pricing in the fertilizer markets. According to the company, the 3G technology is a real ‘Game Changer,’ that in certain locations and at very large scale, is expected to generate enough value from by-products to support projects absent nutrient credit revenues. The Chesapeake Bay is the largest estuary in the United States, with about 150 streams, creeks and rivers draining into the watershed. 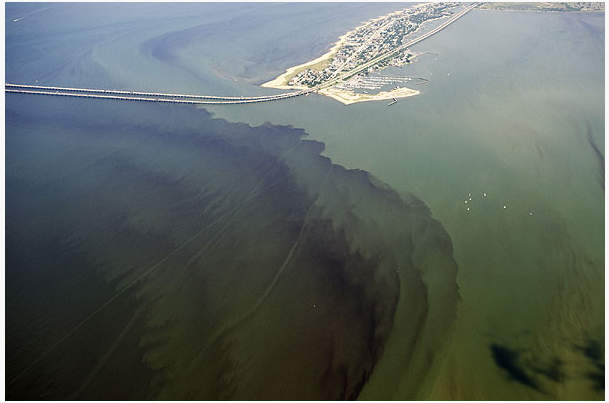 Chesapeake Bay is one of the most severely degraded watersheds in the nation, suffering from frequent algal blooms and declining fish, crab and oyster populations. In 2010, under an Executive Order, the EPA established the Chesapeake Bay Total Maximum Daily Load (TMDL) – the maximum amount of pollutants that the water body can receive and still meet water quality standards. The TMDL calls for significant reductions in excess nutrients and sediment that flow into the Bay and includes heavy penalties for non-compliance. The reductions include approximately 78 million pounds of nitrogen annually. The TMDL requires that practices are in place by 2017 to meet 60% of the overall nitrogen, phosphorus and sediment reductions and that all pollution control measures needed to fully restore the Bay and its tidal rivers are in place by 2025. Under the Chesapeake Bay TMDL, the state of Pennsylvania is responsible for reducing nearly half of the excess nitrogen in the Chesapeake Bay. However, Pennsylvania has fallen far behind in meeting its mandated nitrogen targets. The state acknowledged it will default on its 2017 nitrogen target by more than 14.6 million pounds and could face expensive sanctions from the EPA as detailed in a Special Report issued by the State’s Auditor General in April 2015. While there have been threats of federal funding cuts to the Bay efforts, the Trump Administration has also stated that there will be no rollback on Bay regulations, making it even more critical for Pennsylvania to focus limited resources on cost-effective solutions. PA Senate Bill 799, the Pennsylvania Clean Water Procurement Act, was introduced in June 2017 (see June 29, 2017 Bion news release). The Bill seeks to establish a competitive procurement program for verified nutrient reductions which will enable private-sector companies such as Bion to compete for public funding on an equal basis with public works and storm water authorities – based on cost. SB 799 was in response to a 2013 PA legislative study that estimated 80 percent savings in Chesapeake Bay compliance costs if such a program were implemented. The bill was recently voted out of the Senate Environmental Committee by a vote of 10-2. Recently, Bion has stated that it is targeting the bill for consideration in the Senate in December, with passage some time after the New Year. Bion Environmental Technologies is a founding member of the Coalition for an Affordable Bay Solution, formed to support the creation of a competitively bid nitrogen trading program in Pennsylvania. The Coalition includes JBS (the largest livestock processor in the world) and is headed by Ed Schafer, Bion’s Executive Vice Chairman, a former U.S. Secretary of Agriculture and former Governor of North Dakota. The cost of current strategies and their ineffectiveness, the market-driven concepts embodied in SB 799, the need for local water quality solutions, and looming EPA sanctions – all are being considered by Pennsylvania’s legislature, administration and stakeholders. Bion believes a market-driven strategy will be adopted by Pennsylvania in the 2017-18 Session that allows the private sector to compete for public funding based on cost and effectiveness. Bion is equally confident the credits it can verify through livestock waste treatment represent some of the few large-scale low-cost solutions available at this time. “A large part of Bion’s share value proposition rests in market validation of our technology,” explains Craig Scott. “We know the technology works. We know there is a need for it. It is not valued by the Street yet because, to date, water quality efforts have been left to government and NGOs. Since the private sector has never had a seat at the table in our clean water strategy, there is no corresponding ‘investment space’. Yet. US EPA just sent a clear signal that they recognize the need for private sector solutions. Located in Pennsylvania, Bion Environmental Technologies’ Kreider Farms project is part of one of the largest dairy/poultry operations in the Chesapeake Bay watershed. The Phase 1 dairy waste treatment project at Kreider Farms has been in operation for nearly five years and includes a total of 1,200 dairy cows. The project was financed by PENNVEST (the Pennsylvania Infrastructure Investment Authority) and has been issued the first-ever full water quality permit for a livestock facility in the U.S. Phase 2, which is anticipated to include up to 9 million chickens, is currently slated for development, late-2018. The Kreider Farms projects are expected to produce about 2 million pounds of verified nitrogen reductions annually to the Chesapeake Bay. Further, the projects will provide significant additional environmental and economic benefits to the local area. If Senate Bill 799, or a similar market-driven strategy is adopted, Bion and other technology providers will compete to sell these reductions to Pennsylvania under long term contracts. Bion expects that verified credits will have a value of at least $8 to $12 per credit, consistent with the PA legislative study. Once fully operational, the Kreider Farms projects are projected to generate revenues of approximately $13 million annually from nutrient reduction credits alone. Substantial additional revenues from energy, other credits and by-product sales are also expected to push revenues over $40 million. A 2015 report by the University of Maryland’s Environmental Finance Center validates the need for a more efficient, market-driven approach to state compliance with the EPA-mandated reductions. Mark A. Smith has been President, General Counsel, interim Chief Financial Officer and a director of Bion Environmental Technologies, Inc. since late March 2003. Since that time, he has also served as sole director, President and General Counsel of Bion’s wholly-owned subsidiaries including Bion Services Group. Since 1992 Mr. Smith has served Bion in various senior positions including director, Chairman and President. Mr. Smith received a Juris Doctor Degree from the University of Colorado School of Law, Boulder, Colorado (1980) and a BS from Amherst College, Amherst, Massachusetts (1971). Mr. Smith has engaged in the private practice of law in Colorado since 1980. In addition, Mr. Smith has been active in running private family companies, Stonehenge Corporation (until 1994) and LoTayLingKyur, Inc. (1994-2002). Until returning to Bion during March 2003, Mr. Smith had been in retirement with focus on charitable work and spiritual retreat. Dominic Bassani was promoted to Chief Executive Officer in May 2011. He had previously served as the General Manager of Bion Integrated Projects Group (then Bion Dairy) (‘Projects Group’) from April 2003 through September 2006 and as a consultant (through Bright Capital, Ltd. (“Brightcap”)) on a full-time basis with focus on strategic planning and special projects. He has been an investor in and consultant to Bion since December 1999. As an independent investor, since 1990 he has owned and operated Brightcap, a management consulting company that provides management services to early stage technology companies. Mr. Bassani was a founding investor in 1993 in Initial Acquisition Corp. that subsequently merged in 1995 with Hollis Eden Corp. (HEPH), a biotech company specializing in immune response drugs. From early 1998 until June 1999 he was a consultant to Internet Commerce Corp. (ICCA), a leader in business-to-business transactions using the Internet. He is presently an investor in numerous private and public companies primarily in technology related businesses. From 1980 until 1986, Mr. Bassani focused primarily on providing management reorganization services to manufacturing companies and in particular to generic pharmaceutical manufacturers and their financial sponsors. Ed Schafer joined Bion in August, 2010, as Executive Vice Chairman, to provide Bion with strategic advice, focusing on areas of public policy related to the livestock industry both domestically and internationally. Commencing in early 2011, Mr. Schafer became a key member of Bion’s three-person senior management team with direct management responsibility for Bion’s: a) state and federal government interfaces, b) relationships with the agriculture (including livestock) industry, and c) international initiatives in Asia and the Middle East. Mr. Schafer was the US Secretary of Agriculture from 2008 to 2009 and Governor of North Dakota from 1992 to 2000. In addition to his public sector experience, he has successfully led a multi-national consumer products business and several entrepreneurial start-up companies. Mr. Schafer graduated from the University of North Dakota with a Bachelor of Science degree in business, earned a Master of Business Administration at the University of Denver, and has been awarded two honorary doctorate degrees. Mr. Schafer has served on public and private corporate boards of directors and held leadership positions in foundations and trade associations. He is also an active member of many civic and service organizations. Craig Scott rejoined Bion Environmental Technologies as a full-time employee in June 2007 and is now the Director of Communications. Mr. Scott participated in several private placements for Bion in 1993 when he was then licensed with the National Association of Securities Dealers (NASD) as a registered representative. He left the securities industry in 1996 to take a position with Bion where he was instrumental in business development, capital raising and developing public and market awareness of Bion. Since 1996, Mr. Scott has held various full- and part-time, as well as consulting, positions with the Company. Mr. Scott was licensed with the NASD in 1981 and primarily focused on marketing, but he is experienced in many facets of the securities industry, including investment banking, syndication, trading and compliance. He was successful in raising substantial capital and increasing institutional ownership and market awareness of two AMEX-traded energy companies from 2003 through 2006 and is experienced in dealing with large institutional investors and sell-side firms as well as investment advisors and brokers from smaller regional to large national firms. Jon Northrop has served as our Secretary and a Director since March of 2003. Since September 2001 he has been self employed as a consultant with a practice focused on business buyer advocacy. Mr. Northrop is one of our founders and served as our Chief Executive Officer and a Director from our inception in September 1989 until August 2001. Mr. Northrop has a bachelor’s degree in Physics from Amherst College, Amherst, Massachusetts (1965), an MBA in Finance 2 from the University of Chicago, Chicago, Illinois (1969), and spent several years conducting post graduate research in low energy particle physics at Case Institute of Technology, Cleveland, Ohio. Jon Northrop is the brother of Jere Northrop. Before founding Bion Technologies, Inc., Mr. Northrop served in a wide variety of managerial and executive positions. He was most recently the Executive Director of Davis, Graham & Stubbs, one of Denver’s largest law firms, from 1981 to 1989. Prior to his law firm experience, Mr. Northrop worked at Samsonite Corporation’s Luggage Division in Denver, Colorado, for over 12 years. His experience was in all aspects of manufacturing, systems design and implementation, and planning and finance, ending with three years as the Division’s Vice President, Finance. This document includes information supplied by Bion Environmental Technologies, Inc., which includes forward-looking statements based on Bion management’s current reasonable business expectations. In this document, the words ‘can’, ‘expected’, ‘confident’, ‘will’, ‘believe’ and similar expressions identify certain forward-looking statements. These statements are made in reliance on the Private Securities Litigation Reform Act, Section 27A of the Securities act of 1933, as amended. There are numerous risks and uncertainties that could result in actual results differing materially from expected outcomes. Potential investors should carefully review the materials and disclosures on Bion’s website www.biontech.com and its SEC filings. *Disclaimer: The profile provides information which was sourced and approved by Bion Environmental Technologies Inc. in order to help investors learn more about the company. Bion Environmental Technologies Inc. is a client of the Investing News Network (INN). The company’s campaign fees pay for INN to create and update this profile page, to which links are placed on Investingnews.com and channel newsletters.